18-8 Stainless steel pickguard, back plate and output jack mounting plate screws. Won't rust or corrode. 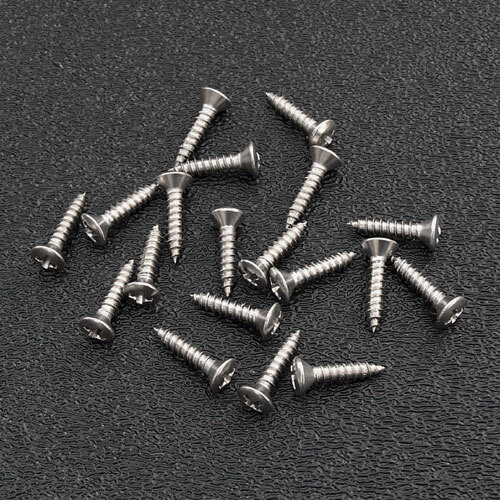 Sold in sets of 19 screws; 11 for the pickguard, 6 for the back plate and 2 for the output jack mounting plate. Enough for an entire Strat® guitar.